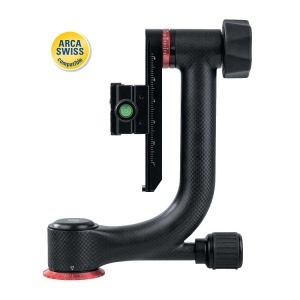 The Dorr GL-24C Gimbal Head is perfect for video filming with DSLR & DSLM Cameras and Camcorders. 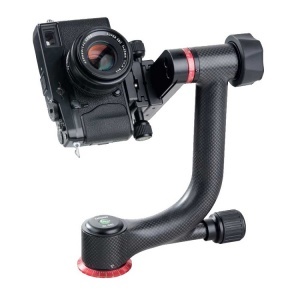 This GL-24C carbon gimbal head provides smooth horizontal and vertical panning and has a 3/8" attachment for connection to a tripod. This Carbon Gimbal Head includes a 1/4" Arca Swiss compatible quick release plate with safety lock and is vertically tiltable. Boasts a 360° Panorama panning with scale and also has 2 integrated spirit levels for horizontal and vertical camera alignment.